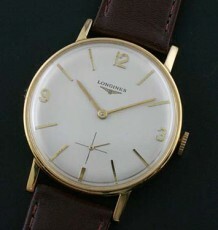 A vintage Longines watch dating to 1957 powered by the Longines 30L movement. 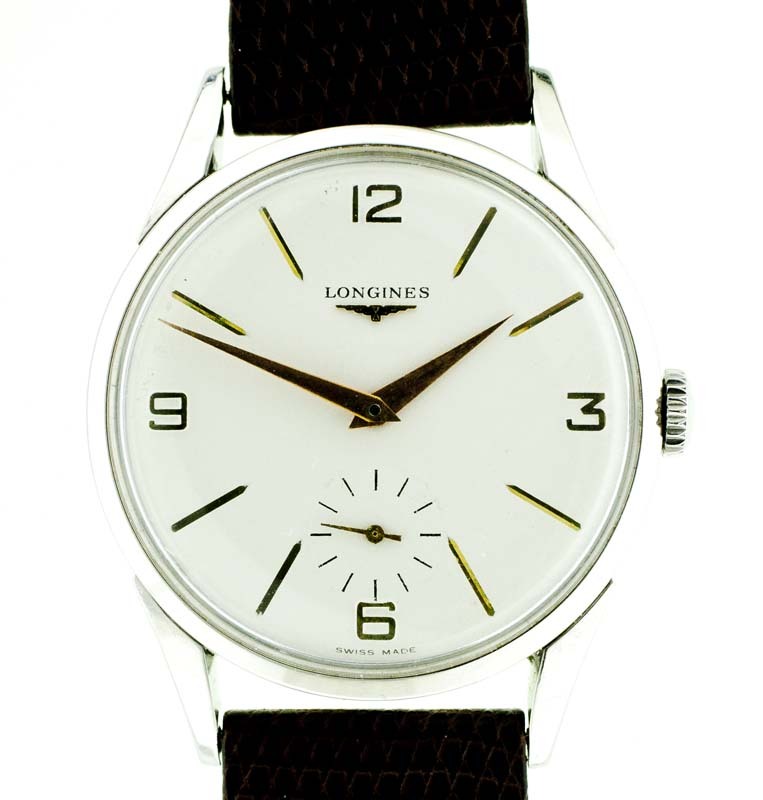 A Longines steel wrist watch in outstanding condition with the famed 30L movement. 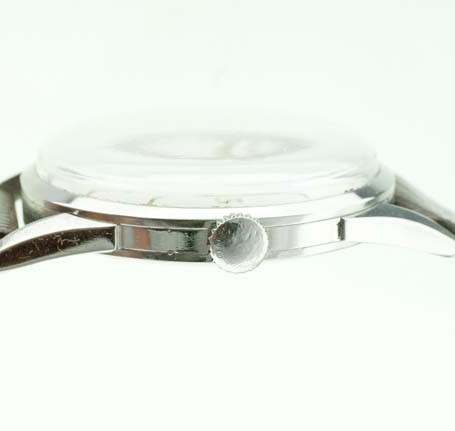 The watch features a restored white dial with gold coloured arrowhead markers along with Arabic numerals at the quadrants similar to the now famous Rolex Explorer wristwatches. 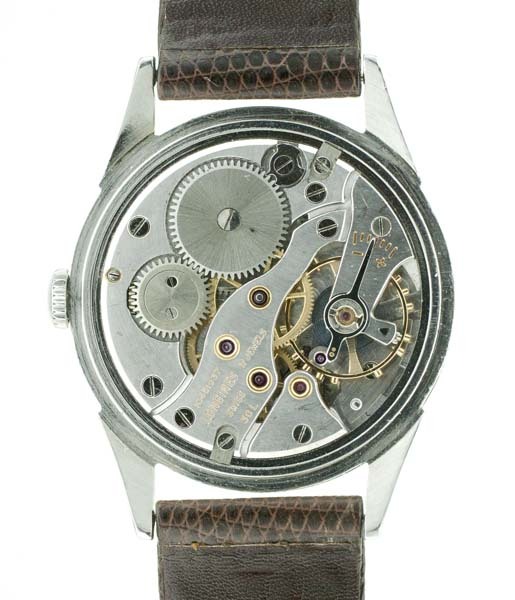 The gold coloured hands are the original and period correct dauphine or pointed shape models. 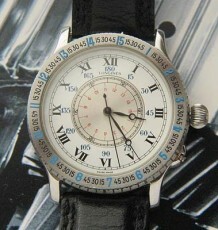 The watch dial has the sought after sub-seconds register in the lower half of the dial. 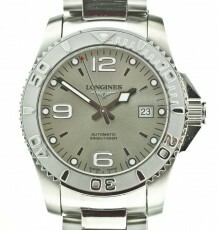 Powering the watch is the highly regarded and sought after Longines 30L manual wind movement. 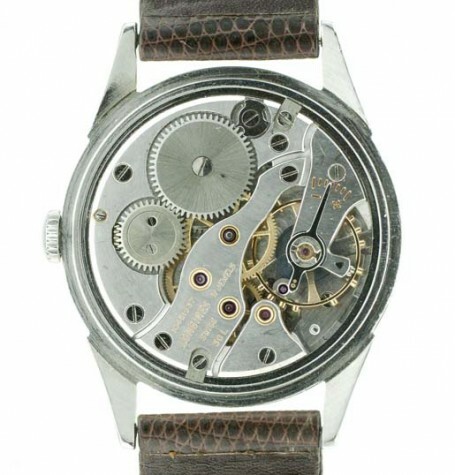 The watch is well known for its over-sized balance wheel and powerful escapement assembly. This movement was Longines response to the Omega 30 mm series of movements. 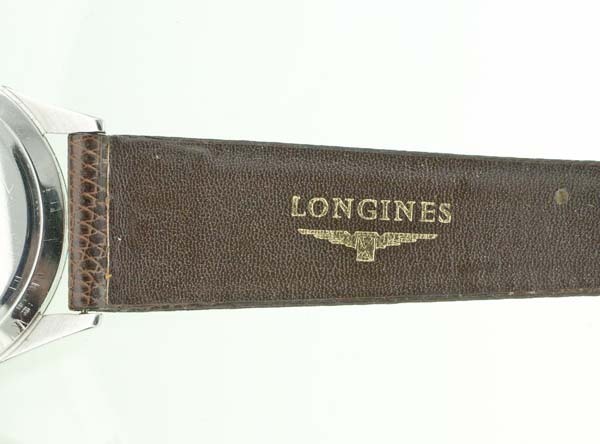 There is even a website dedicated to honoring these impressive movements. 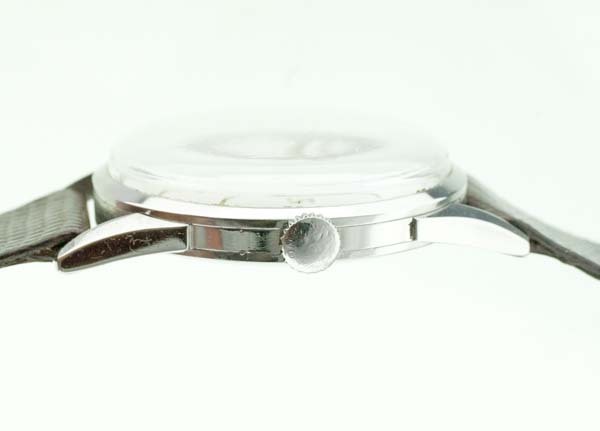 The watch was just fully serviced and restored. 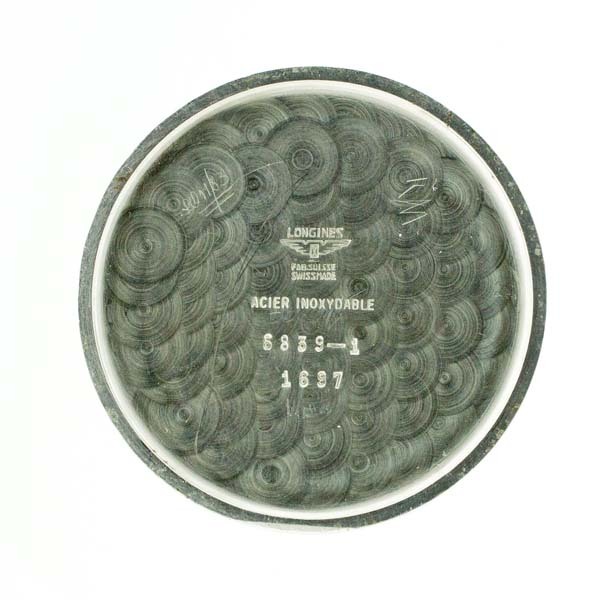 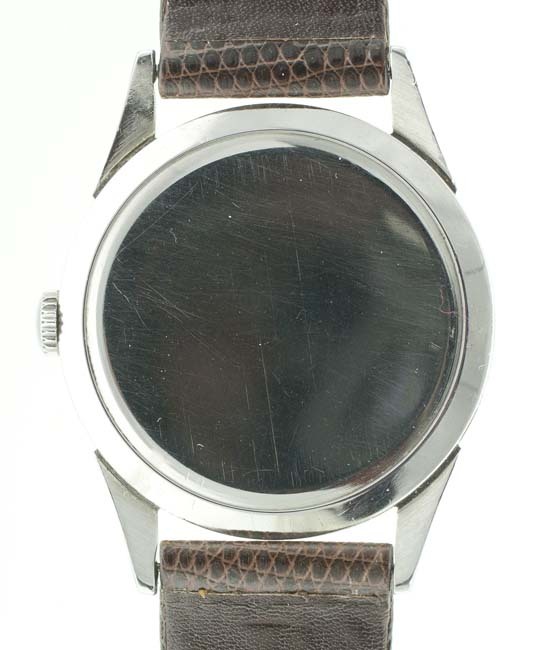 The steel case carries a reference of 6839-1 and measures 36 mm wide by 44 mm long. 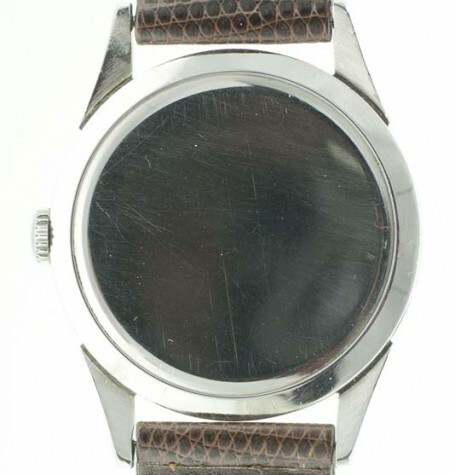 The watch is supplied on a genuine brown reptile skin strap. 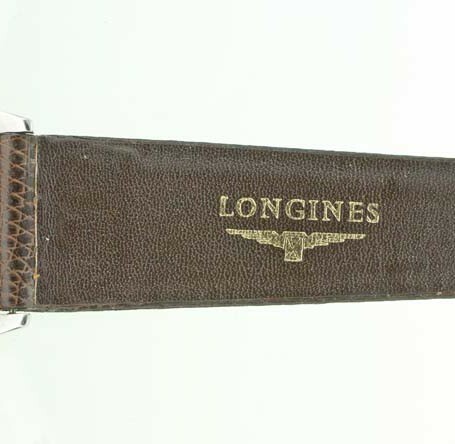 These vintage straps are difficult to find in mint condition and command a high price in the marketplace.